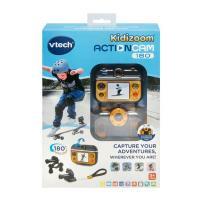 Kidizoom® Action Cam 180° is a light and multi-functional action camera for children! 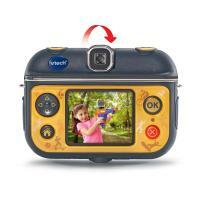 Take great photos and shoot exciting videos on the move, choosing from lots of cool visual effects! 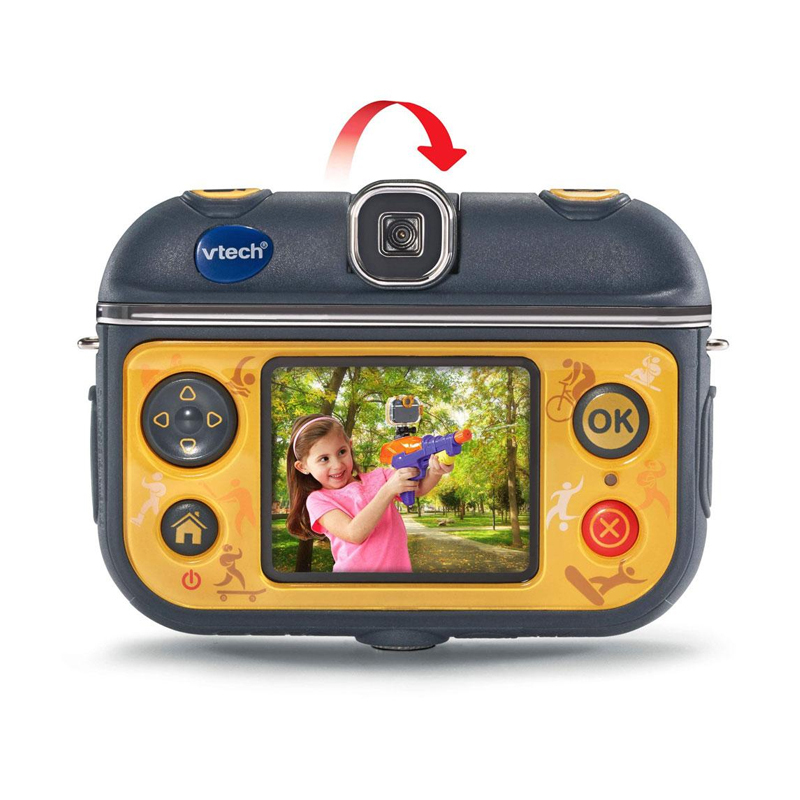 Play through three fantastic games, or create fun stop motion, slow motion or fast motion videos with a great selection of background music to choose from. 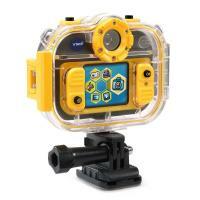 Use the time-lapse photo recording function to capture great and creative actions shots! 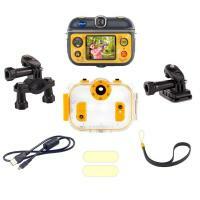 Includes a waterproof case which allows you to take underwater photos or great shots in the rain, and mounts that allow you to attach the camera to a bicycle and more!